What if we told you that you could get a pretty slick sports bike for an affordable price? 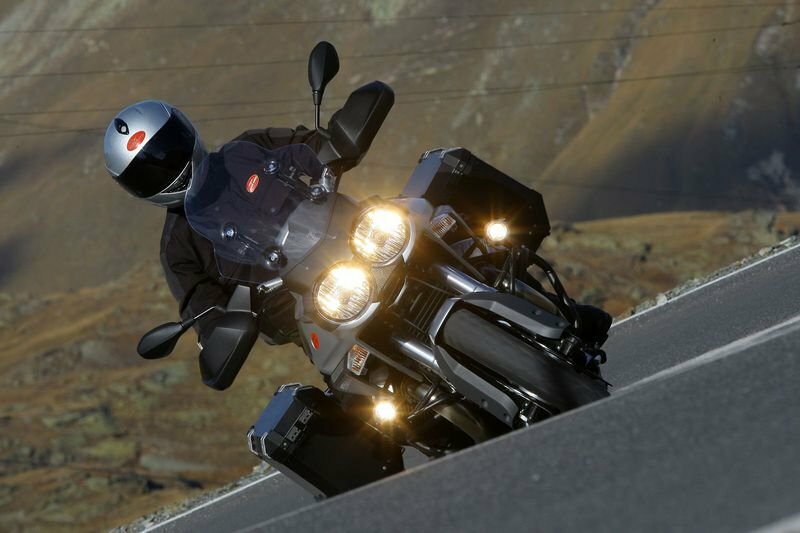 The Moto Guzzi Stelvio 1200 NTX ABS is an eye-catching machine and will turn more heads than most other bikes of its ilk. And the best part? You could score this wonder bike for just £11,878, which is about $19,000 based on current exchange rates. Pretty sweet, right? 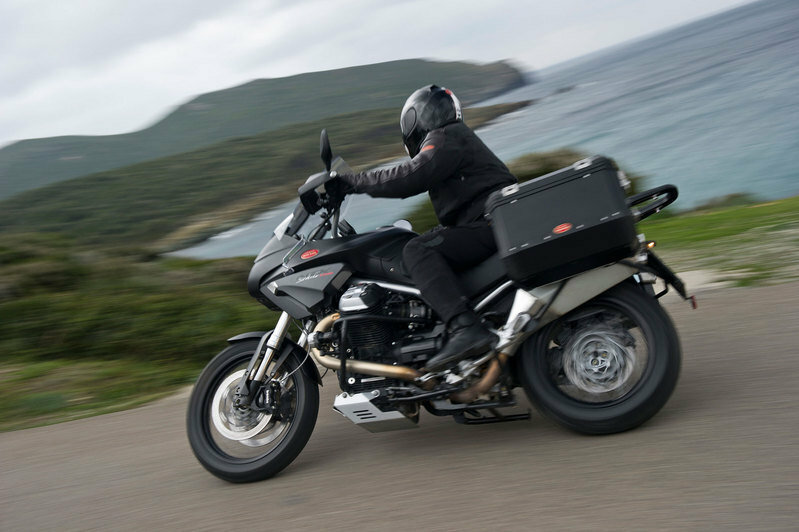 The NTX is the greatest version of the Stelvio, and has all the great technical features of the basic version mixed in with some exceptional new features, including the sturdy "armor" that comprises the oil sump guard, engine guard, cylinder guard, full cover hand-guards, and the extra large windshield. 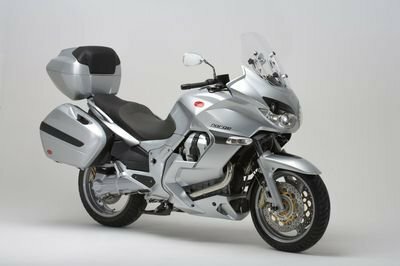 Moreover, it also has extra wind deflectors to protect the rider and his bike against the hidden dangers throughout his trip. 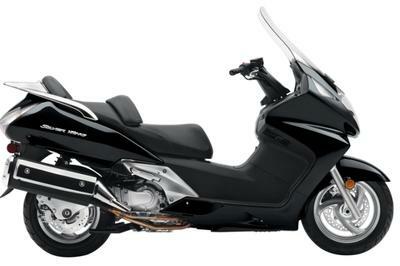 The top fairing and the half-fairing of the bike come with integrated turn indicators, features that add even more dynamic elements to the bike. The Stelvio 1200 NTX also comes with spacious aluminum panniers and additional halogen lights, creating ample space for long haul travels. As for the engine, the Stelvio 1200 NTX comes packed with a V-shaped 90° transverse twin-cylinder engine that produces a peak output of 105 horsepower and 83 lb/ft of torque at just 5,800 rpm. Meanwhile, the frame on this 2012 Moto Guzzi Stelvio 1200 NTX ABS comes with a twin-spar design that’s made of high-strength steel and decorated with 2.5 mm thick directional tubes that anchor the engine through six connecting points, giving the bike even more strength and rigidity than the standard lot. 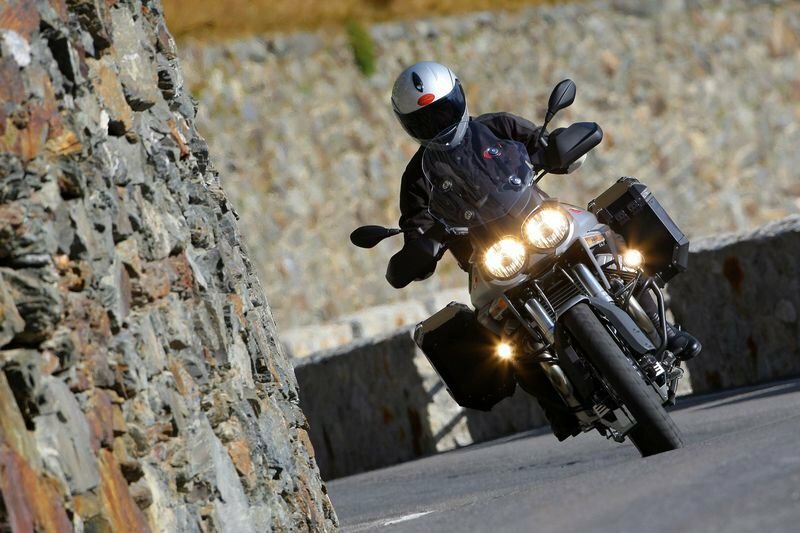 Find out more about the Moto Guzzi Stelvio 1200 NTX ABS after the jump. 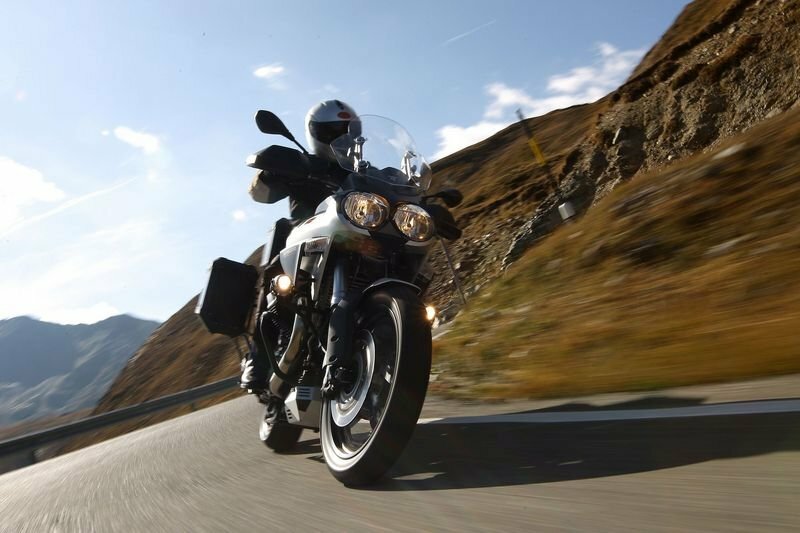 Named after the famous Alpine pass that connects Valtelline Valley to Vinschgau Valley with 84 amazing s-bends between them, the Stelvio 1200 NTX brings together Guzzi character with state-of-the-art performance and design. 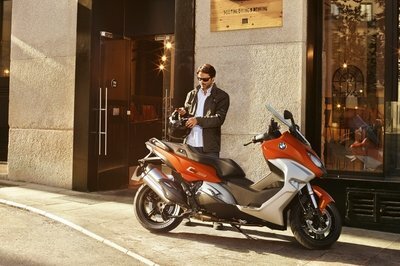 The Stelvio has reached a new level thanks to the technical and functional upgrades on the new Stelvio 1200 NTX. The front fairing, windscreen and the half-fairing with integrated turn signals are all brand new elements that together, give the front-end of the Stelvio 8V a cutting-edge look. It has an original design, but it is above all more functional and versatile, qualities that are of the utmost importance in the Adventure Touring segment. The styling compared to the previous version: more efficient aerodynamic protection, thanks to the new top fairing and practically twice fold range capacity thanks to the outstanding new fuel tank with a 32 litre record capacity. The heart that beats inside this touring bike is the renowned V-shaped 90° transverse twin-cylinder "Four valve" engine, the highest performer among all the families of engines manufactured at Mandello del Lario, which has now reached exclusive levels as far as its technical/performance development is concerned. The engine now boasts a maximum torque of over 83 foot-pounds delivered at a mere 5,800 rpm and easily reaches a peak horsepower of 105 HP at 7,250 rpm. 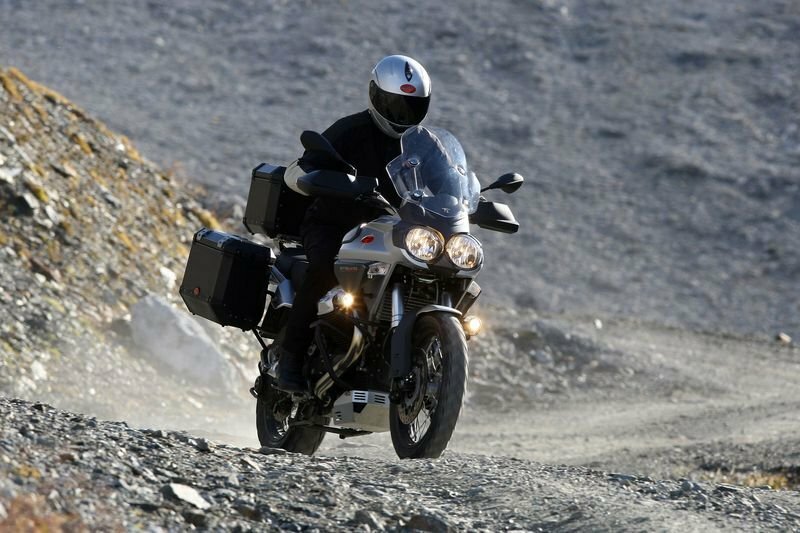 A bike dedicated to long haul travellers naturally needs luggage space, hence the spacious aluminium panniers and additional halogen lights. Major improvements are also found in the controls, with a new dashboard including a 12V power outlet, a new fuse box compartment, dashboard and instrument panel with new rpm indicator graphics and a dash display with six-mark fuel indicator that integrates with on-board computer functions such as average and current consumption, average speed, trip time, maximum speed peak reached and diagnostics. The display also lets you control hand grip heating and activate the ATC system (traction control system), fitted as standard on both models. 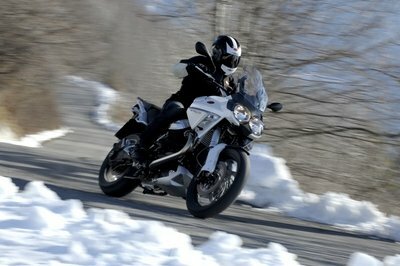 The Stelvio 1200 NTX tackles a twisty mountain pass or a gravel strewn fire road with equal aplomb. The secret is the new upper twin spar frame, made of high-strength steel, with 2.5mm thick directional tubes, where the engine is anchored through six connecting points, two more than in usual frames, which give high rigidity to the assembly. Chassis positions have been defined to facilitate handling, a headstock with a 27° inclination for a 125mm trail, improved by a 60.4 inch/1535mm wheelbase which guarantees impeccable handling. The fully adjustable 45mm USD Marzocchi fork with 170mm of travel ensures an instant, smooth response. At the rear, a rebound and preload adjustable Sachs monoshock supports 155mm of travel. The refinement of the suspension guarantees a neutral setting at all times. When accelerating out of a corner, and the action of the 105 horsepower generated by the new “Quattrovalvole” engine is requested, or when braking, under the quick deceleration generated by the three-disc Brembo braking system supported by the selectable Continental ABS, fitted as standard on NTX. The Stelvio NTX sports 320mm double disc front brakes with a new holder flange, while retaining a 282mm brake disc at the rear. The wheels boast a cutting-edge designed set of light alloy rims with a 150/70-17 rear tire. Tubeless spoked wheels (patented Alpina STS system) come standard on the NTX. The Stelvio 1200 NTX boasts the latest evolution of the "Quattrovalvole" engine”, introduced in 2006 and universally acknowledged as the most advanced version of the V-shaped 90° transverse twin-cylinder. This highly sophisticated mechanical gem, which is unique in terms of both architecture and engineering clarity, is built using advanced componentry and technical solutions. As far as the fuel system goes, the "Quattrovalvole" engine premiers the new Marelli IWP 189 injectors located on the intake ducts of the sizeable 50mm throttle bodies, whereas the brand new integrated ignition and injection ECU now exploits the signals sent by the two lambda probes to guarantee adequate fuel metering throughout the entire combustion cycle, improving response to the throttle control, mid range power delivery further to consumptions and emissions. In terms of electronic components, the new Stelvio 1200 NTX debuts the ATC system (traction-control system) providing the rider with confidence in poor riding conditions. The gearbox is a genuine six speed mechanical gem that excels for quietness, an easily selectable neutral position and precision, thanks also to the quiet and smooth single plate clutch. 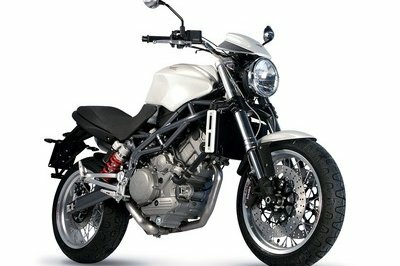 - * 1200 90° V-shaped Twin-cylinder "Four Valve"
- * High tensile steel upper dual beam frame. Intake valve opens 36° BTDC. Iintake valve closes 62° ABDC.. Exhaust valve opens 58° BBDC. Exhaust valve closes 30° ATDC. Fuel supply / Ignition Multipoint sequential electronic ignition, Magneti Marelli IAW5A phased, alfa-n system; two Ø 50mm throttle body, Weber IWP 189 injectors, two lambda probes. Exhaust system Stainless steel, 2-in-1 type, three-way catalytic converter with lambda probe. 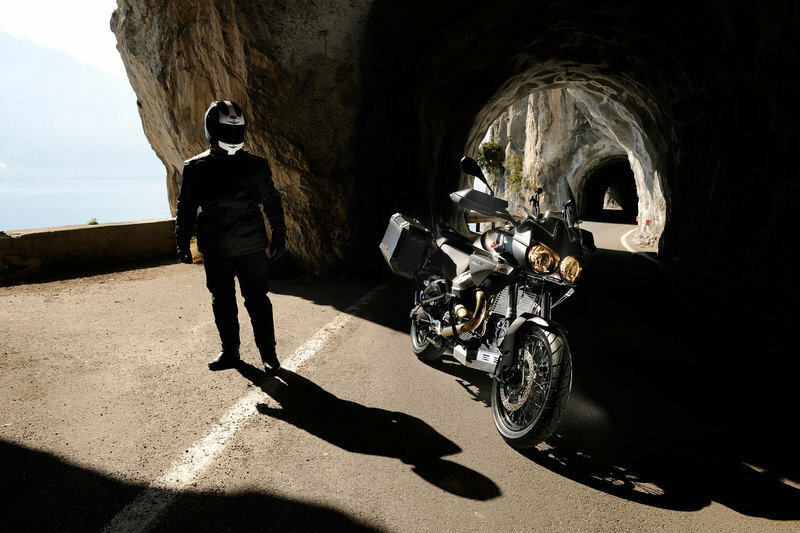 Bikez ---- "An appetite for adventure - The Moto Guzzi Stelvio NTX represents Italian style, engineering excellence and riding pleasure, and is perfect for riders with an appetite for adventure." 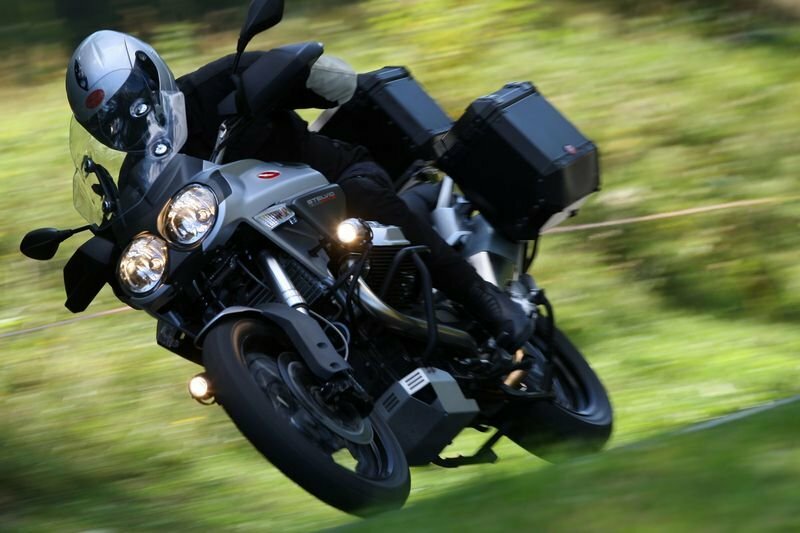 Ultimatemotorcycle ---- "The 2012 Moto Guzzi Stelvio 1200 NTX has gained more performance, now pushing 105 horsepower, and a more streamlined profile." Totalmotorcycle ---- "The NTX is the more "adventurous" version of the Stelvio, and now has all the technical features of the base version, plus some exceptional new fixtures, i.e. the sturdy "armour" that embraces it and comprises the oil sump guard, engine guard, cylinder guard, full cover hand-guards and extra large windshield with additional wind deflectors to protect the rider and his bike against the hidden dangers throughout his trip."